Last year, Mr. Obama used his executive authority under the Clean Air Act to complete regulations that would limit carbon dioxide emissions from coal-fired power plants, the nation’s largest source of planet-warming pollution. Republicans have attacked the rules, which could lead to the closing of hundreds of coal plants, as a “war on coal.” A halt to new leases would go even further by leaving coal unmined. “It appears that they’re going after the federal coal leasing program with the intention of keeping coal in the ground,” said Luke Popovich, a spokesman for the National Mining Association. But companies can continue to mine the coal reserves under lease, estimated to be enough to sustain current levels of production from federal land for about 20 years, according to the administration official. Mr. Obama hopes to make curbing climate change a cornerstone of his legacy. The administration’s action is the latest step in his ambitious efforts to use his executive authority to tackle climate change, though it could be reversed by another president. As the administration has sought additional ways to discourage production and consumption of the fuel most responsible for global warming, economists have proposed a “production fee” associated with emissions from coal. Administration officials have estimated that cost — tied to what they call the “social cost of carbon” — at about $40 per ton of carbon dioxide produced. A fee of that size “would shut down the industry on federal lands entirely,” said Alan Krupnick, an economist at Resources for the Future, which studies environmental economics. The environmental advocacy group 350.org, which led the successful campaign against the construction of the Keystone XL oil pipeline, has since turned its efforts to pushing Mr. Obama to shut down new leases for coal mining on public lands. Officials at the Interior Department, which oversees the leasing of public lands to energy companies for fossil fuel extraction, have been reviewing for the past year possible updates to the leasing and royalty programs for mining and drilling on government lands. In 2014, the federal government received about $1.2 billion in leases, royalties and other fees for coal mining on public lands, with a leasing rate of $3 per acre, plus royalties paid on the market value of the coal at the time of extraction. 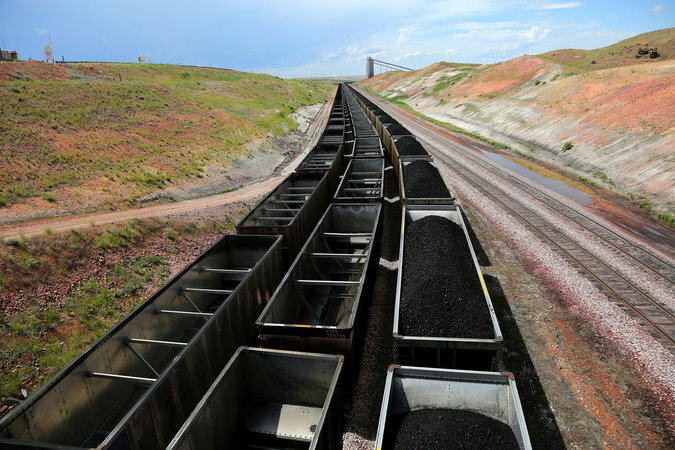 But a 2013 report by the Government Accountability Office questioned whether the lease and royalty rates accurately reflected the market value of the coal. “The lease payments are notoriously known for being paid below market value,” said Dan Bucks, a former director of the Montana Department of Revenue. The push to increase the cost to coal companies comes as the industry is struggling after one of its worst years in recent memory. The industry is suffering from a one-two punch from market forces and government policies. For decades, coal has dominated the American electricity market as the cheapest source of fuel, but in recent years, it has been overtaken by cheap natural gas. At the same time, Mr. Obama’s new climate change regulations are driving electric utilities to shut down coal plants and invest in cleaner sources of energy, including natural gas, which produces half of the carbon pollution of coal, as well as wind and solar power. A wave of bankruptcies has hit the nation’s largest coal companies, most recently on Monday with the bankruptcy filing of Arch Coal, the nation’s second-largest coal company. United States production of coal and employment in the coal sector have fallen to their lowest levels since the 1980s.